My daughter is getting to the age where she’s starting to feel more peer pressure and starting to discover how she feels about the world. She’s forming her own opinions, and I love to see glimpses of the strong woman I hope she’ll be. I was excited recently to receive Beloved: 365 Devotions for Young Women from Zondervan, because it’s a perfect book to encourage both Biblical reflection and positive self-worth. The book has a light pink cover and darker pink decorative spine. It has a lovely image of flowers on the front, and there is a red ribbon bookmark. Each page has a short Bible verse, an encouraging passage about that verse, and a few lines if the reader would like to journal or reflect on the passage herself. In addition, each page is not marked by calendar dates, but in numerical order, so you can start this devotional at any time of the year. Realize that God takes care of our physical, spiritual, and emotional needs. The devotional also looks at individual Bible verses day by day that aren’t connected to other Bible verses. For instance, on Day 252, the passage is Isaiah 42:1-4, and the text that follows encourages girls to never give up, even though Life can take a toil on a person and leave us feeling bruised and battered. No matter what, Jesus is there, cradling us. We may be bruised, but we’re not broken. Considering all of the heartache young people can go through, I think this is great advice. It’s also a great reminder for adults. I read a lot of this myself. This devotional is intended for girls ages 13 to 18, so at just turned 10, PB & J Girl is a little young for this. However, we did read some passages together and discussed the meaning. I found that this fit quite nicely into my morning worship routine. I said my prayers, read a bit from the Bible, and then read my daily passage from Beloved. Even though this book is clearly targeting young women, I, a middle-aged woman, still got quite a bit from it. 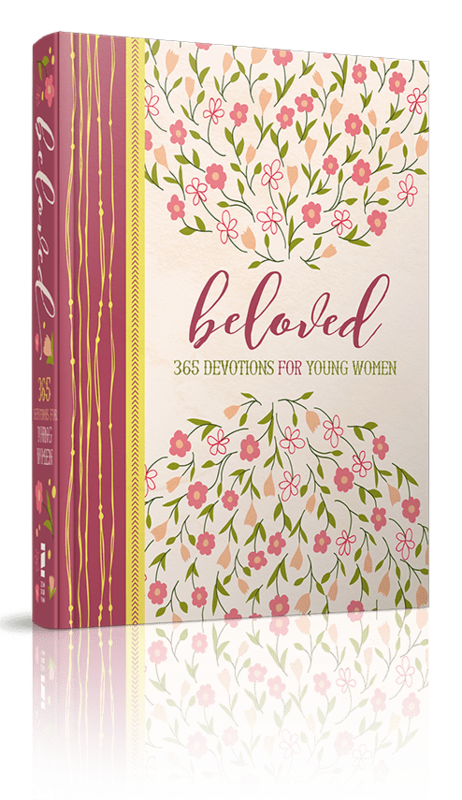 I think Beloved: 365 Devotions for Young Women would make a lovely birthday or Christmas gift for a teenager such as a niece, daughter, babysitter, etc.